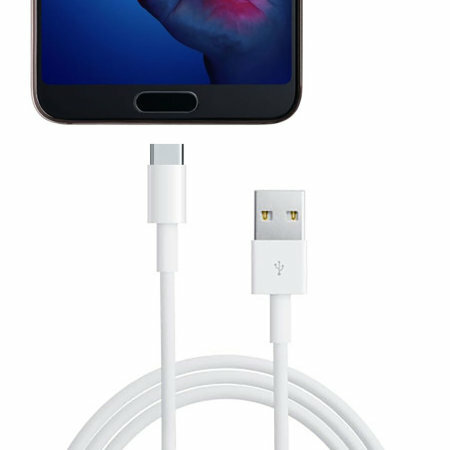 Perfect for charging and syncing across files, this official 1m Huawei P20 Super Charge USB-C to USB-A cable provides blistering charge and transfer speeds. It also supports Huawei's Super Charging. The cable is as good as the one that came with the phone for fast charging but appears slightly more sturdy! The 1m cable is compatible with and perfectly suitable for, the Huawei P20. Using the latest USB-C technology, this cable is able to provide your phone with blistering transfer and charging speeds. 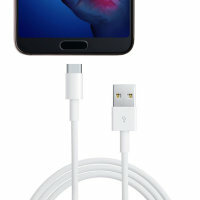 Suitable for syncing data between your phone and computer, this cable provides extreme transfer speeds that allows you to quickly copy pictures, movies and much more. This Official Huawei USB-C cable can handle charging speeds of up to 5 Amps for vastly superior charging and is of course also compatible with Huawei's Super Charging technology. With this being a genuine Huawei cable, you can be assured of the highest quality and ultra reliability, that's compatible with your phone and all its accessories. Please note: no retail box or packaging included.